Audio 911’s Steve Wytas seen using the “White Phone” on the Clearcom System while faxing out audio on a quarterly webcast originating from Bermuda. Audio 911 has been given the assignment of providing audio services for a series of quarterly webcasts for a multinational insurance company. 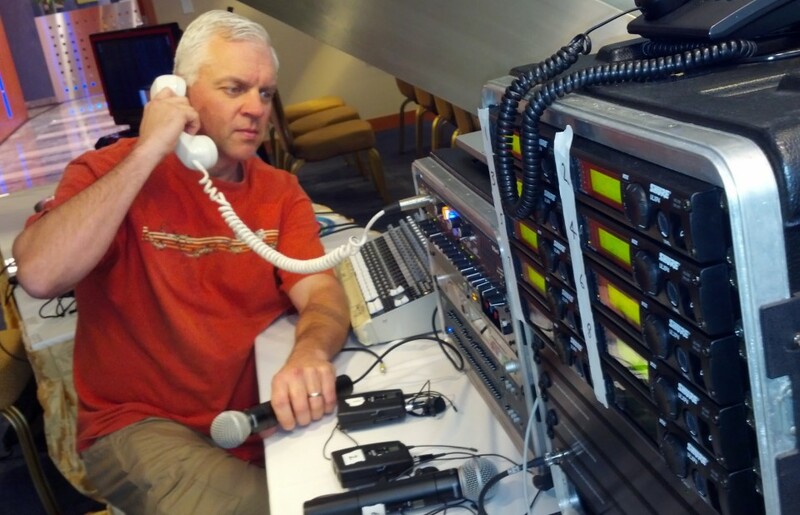 Audio for the webcast was provided to multiple web-encoders, locally to the room, as well as to a backup phone bridge. This entry was posted in Audio 911 News on February 20, 2013 by Steve Wytas.